Experienced quantum expert and lead expert assistant. Acted for disputes in excess of US$500 million. Proven as a credible expert under cross-examination. Proactively manages complex construction disputes. Extensive contract and commercial experience. Highly capable across matters including evaluation of damages, loss of productivity, acceleration and termination. Selected as Who’s Who Legal Consulting Experts Future Leader 2018 – construction. Conrad is a quantity surveyor with more than 20 years of experience in construction, engineering, and dispute resolution. He is a testifying quantum expert and has been appointed on 13 occasions. Conrad specialises in forensic quantum analysis based on his extensive knowledge and experience of commercial risks and contractual relationships. He has been appointed as quantum expert in local, international and state (ICSID) arbitrations and has given oral expert testimony in arbitration and DAB proceedings. Conrad possesses the capability to lead complex disputes and large teams of multi-disciplinary staff through the whole dispute lifecycle. Conrad’s expertise includes matters of quantity surveying practice, valuation of damages, and disruption and loss of productivity as typically presented in major construction and engineering disputes. He provides commercial advice on formal dispute resolution, claims preparation and contract administration services for clients across varied sectors, ranging from rail and mass transport to pipelines and marine wharfs. Conrad has worked as a quantity surveyor and consultant on major oil and gas, power and infrastructures projects and disputes across the UK, Middle East, Africa and Australasia. He is adept in the major standard forms of contract, particularly bespoke forms and the FIDIC suite. 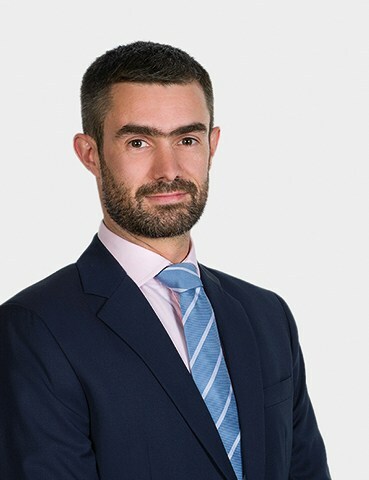 Conrad was selected as a ‘Future Leader’ in Who’s Who Legal Consulting, stating that he ‘is a knowledgeable adviser and seasoned expert witness in complex disputes, with 20 years’ experience in the construction industry’. He holds a bachelor’s degree in quantity surveying, a master’s degree in construction law and arbitration and post graduate diploma in law. 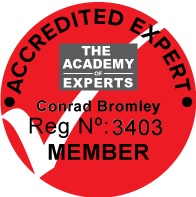 Conrad is also a fellow of the Chartered Institute of Arbitrators, a member of the Chartered Institute of Building and the Academy of Experts, and is viewed as a highly-competent expert by clients and peers alike, who consistently produces robust analysis. Conrad is the honorary treasurer of the UAE branch of the Chartered Institute of Arbitrators.